I am not the world’s most outgoing person, but I enjoy striking up conversations with strangers when I travel. What do my travels have to do with your company’s reputation? Lately, I have been doing quite a bit of traveling, both for work and for fun. On two recent trips to Amarillo, TX, and Las Vegas, NM, I found myself chatting with Professional Drivers. Once I tell people that I work for a company that cares deeply about Driver engagement and retention, the initial response is usually “You should work with my company.” But the responses I got from these drivers were so varied and so passionate on both ends of the spectrum that it got me thinking – how many times a day and to how many people are your drivers telling whoever will listen about your company and how much they love it or hate it? The Driver I spoke with in Amarillo was disengaged and dissatisfied with her job. After knowing me for 10 minutes, she was telling me how bad her working conditions were and how much her company didn’t care about her or anyone else. To them, she was just a number filling a seat. She told me that she had heard the same thing about the company from other drivers before she started there, but decided to work for them anyway. She now regrets her decision and tries her hardest to ensure that no one makes the same mistake she did. In my line of work, I am aware that a company’s reputation should not hinge on one person’s account of their bad experience. But what about everyone else she’s telling? How many potential hires are steering clear of applying to work for you because of the words from one disengaged, toxic driver? On the other side of the spectrum was the Driver I talked to in Las Vegas. He had driven for a few different companies and is now driving for a company he really enjoys. He told me that it was the little things like letting his pet ride with him, and the way the office people treat him that made him believe that he’s with the right company now. He said the company really cares about him and the rest of the drivers, and that to him, it makes all the difference. I came away from that conversation thinking that if I were a Driver, I’d want to apply to work for that company right away. He had unintentionally sold it to me. 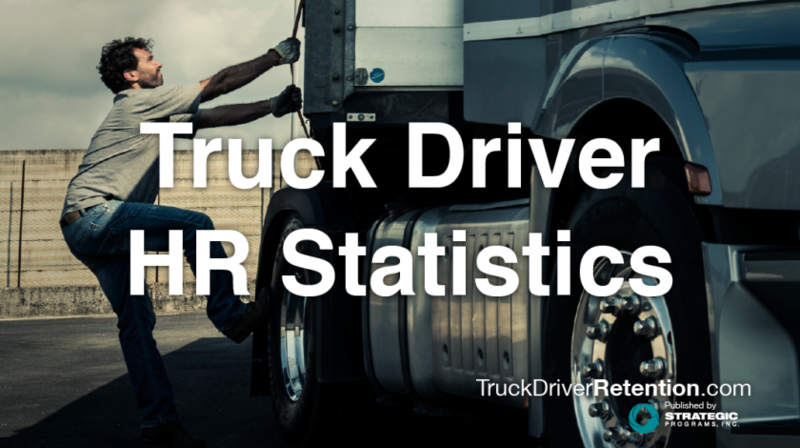 Consider how much information the Drivers I met on the road were willing to share and how it correlates with what you can do to increase Driver engagement within your company. We at Strategic Programs, Inc. have done extensive research in the transportation industry, and we’ve discovered that the top Drivers are going to fleets because of their reputation. Finding out what percentage of your Driver population are actively engaged, engaged, somewhat engaged, passively disengaged, and actively disengaged can give you important insight into how your Drivers may be marketing your company for you. Finding out what keeps those engaged Drivers motivated, and what’s disengaging the toxic employees is even more powerful. Strategic Programs would be happy to tailor a program for you to help give you the insight and the tools to make the best decisions for your company and its reputation.